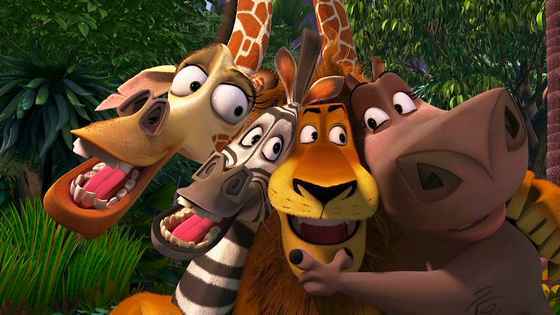 watch computer animated comedy film who show us amazing adventures of four animals, Marty the zebra, Alex the lion, Melman the giraffe and Gloria the hippo, who escape from the New York Central Zoo and find themselves in Madagascar. Marty is turning ten years old and wishing to see the world. He has lots of friends including the zoo’s star, Alex the lion. 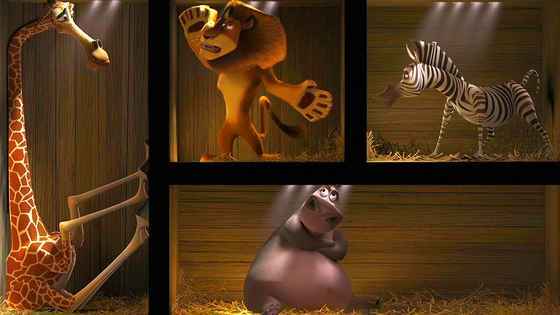 When Marty makes a break for freedom and Alex, Melman the giraffe, and Gloria the hippo go after him along with others from the zoo, they find themselves shipped off to Africa to be released into the wild. 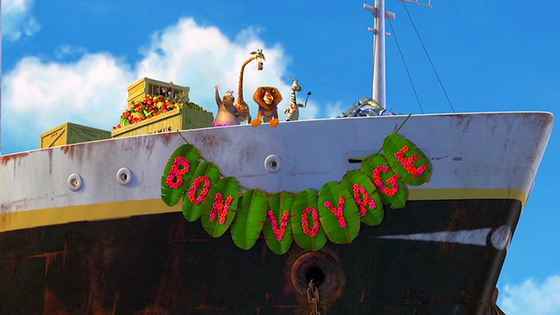 An accident at sea strands the animals on Madagascar where their true animal nature begins to surface and it could destroy the animals’ friendships forever. Alex the Lion is the protagonist of movie; with his three friends, Marty, Gloria and Melman, he lives in Central Park Zoo (Ben Stiller) "Like I said, it's showtime"
Marty the zebra is a quick witted free spirit, funny, kind, friendly, adventurous, a dreamer, optimistic and impulsive (Chris Rock) "As long as we're together, it doesn't matter to me"
Melman, a hypochondriac giraffe with infinite phobias, is kind, funny, caring, frolicsome, loving, shy, brave, brainy, neurotic (David Schwimmer) "got to take the Metro-North train"
Gloria the hippo is beautiful, smart and resourceful, sweet when she wants to be and tough when she needs (Jada Pinkett Smith) "that is the real deal right there"
Julien, the hyperactive and egotistical self-proclaimed King of the Lemurs with a hilarious accent and a penchant for dance moves (Sacha Baron Cohen) "my genius plan is this"
Maurice, a perennially annoyed, droll lemur offers thought and logic to counterbalance monarch’s hair-brained schemes (Cedric the Entertainer) "What big teeth you have"
Mort, a cute and cuddly mouse lemur is King Julien’s most dedicated, and undeniably creepiest, servant (Andy Richter) "They are savages"
Skipper, tough, dedicated, caring, suspicious, lion-hearted confident, daring, heroic, was born to lead (Tom McGrath) "win the hearts and the minds of the natives"
Kowalski, Skipper’s lieutenant feeding him the raw data necessary to complete their missions successfully (Chris Miller) "It's no good. I don't know the codes"
Private, sensitive, emotional, and happy, far younger than the other penguins is constantly trying to prove himself (Christopher Knights) "tell them that the boat's out of gas"
Fossas, the main antagonists, are medium-sized cat-like creatures rarely speak, usually growling and yelping (Tom McGrath) "Foosa hungry, foosa eat"
Madagascar movie transcript with snapshot pictures part 1 ALEX THE LION: Surprise! MARTY THE ZEBRA: Alex. Do not interrupt me when I'm daydreaming. When a zebra's in the zone, leave him alone. ALEX THE LION: Come on, Marty. Just wanted to wish you a happy birthday. MARTY THE ZEBRA: Hey, man, thanks. Hey, I got something stuck in my teeth. It's driving me crazy. Can you help me? Please? MARTY THE ZEBRA: You came to the right place, my friend. Dr Marty, D.D.S., is in the house. Please hop on top of my sterilised examination table, if you may. I don't see anything. ALEX THE LION: It's on the left. MARTY THE ZEBRA: Oh, sorry. Okay, just don't talk with your mouth full. Right here. What the heck is this doing in there? ALEX THE LION: Happy birthday! MARTY THE ZEBRA: Hey, thanks, man. You put it in behind the tooth. You all right. ALEX THE LION: These aren't even on the shelf yet. Here. Check it out. Look at that. Look at that. MARTY THE ZEBRA: Look at that. It's snowing. ALEX THE LION: Ten years old, huh? A decade. Double digits. The big 1 - 0. You don't like it? MARTY THE ZEBRA: No, no, it's great. ALEX THE LION: You hate it. I should've gotten you the Alex alarm clock. That's the big seller. MARTY THE ZEBRA: No, no, no. The present's great, really. It's just that another year's come and gone and I'm still doing the same old thing. Stand over here. Trot over there. Eat some grass. Walk back over here. ALEX THE LION: I see your problem. MARTY THE ZEBRA: Maybe I should go to law school. ALEX THE LION: You just need to break out of that boring routine. MARTY THE ZEBRA: How? ALEX THE LION: Throw out the old act. Who knows what you'll do. Make it up as you go along. Ad lib. Improvise. On the fly. Boom, boom, boom. MARTY THE ZEBRA: Really? ALEX THE LION: You know, make it fresh. MARTY THE ZEBRA: Fresh, huh? Okay. I could do fresh. ALEX THE LION: Works for me. Here come the people, Marty. I love the people. It's fun people fun time! Let's go, Gloria! Up and at 'em. We're open! GLORIA THE HIPPO: What day is it? ALEX THE LION: It's Friday. Field trip day. GLORIA THE HIPPO: Yes, it's field trip day. Let's get up and go in ten more minutes. ALEX THE LION: Come on! Melman! Wake up! Rise and shine! It's another fabulous morning in the Big Apple. Let's go. 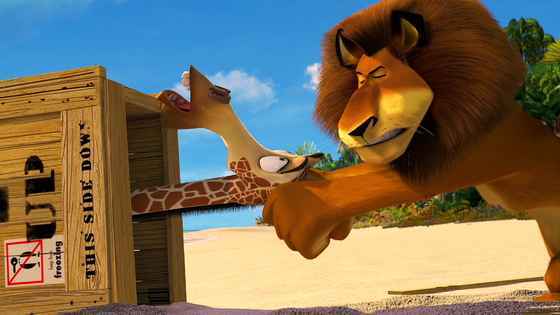 MELMAN: Not for me. I'm calling in sick. ALEX THE LION: What? MELMAN: I found another brown spot on my shoulder. Right here. See? Right there. You see? 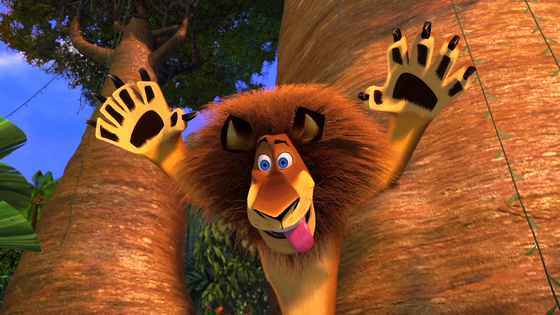 ALEX THE LION: Melman, you know it's all in your head. PEOPLE: Let's go! Come on! 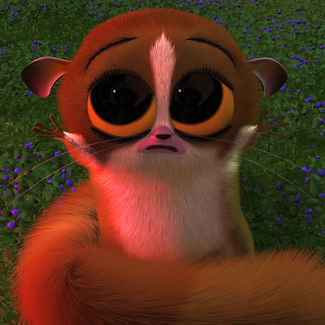 MASON: Phil! Wake up, you filthy monkey. MARTY THE ZEBRA: Oh, I'm going to be fresh. Straight out the ground. Tasty fresh! Freshalicious. Ziploc fresh. ZOO ANNOUNCER: Ladies and gentlemen, children of all ages, the CentraI Park Zoo proudly presents. ALEX THE LION: Show them the cat. Who's the cat? ZOO ANNOUNCER: The king of New York City. ALEX THE LION: Alex the lion. ZOO ANNOUNCER: Alex the lion. MARTY THE ZEBRA: It's showtime. ALEX THE LION: Roar! MARTY THE ZEBRA: Gather around, people. Big show about to start. Check out the zebra taking care of biz. That's right. 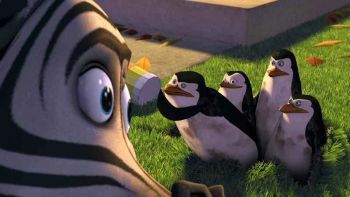 SKIPPER: Just smile and wave, boys. Smile and wave. Kowalski, progress report. 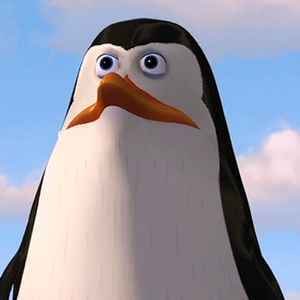 KOWALSKI: We're 500 feet from the main sewer line. SKIPPER: And the bad news? KOWALSKI: We've broken our last shovel. SKIPPER: Right. Rico, you're on litter patrol. We need shovels. And find more Popsicle sticks. We don't want to risk another cave-in. PRIVATE: And me, Skipper? SKIPPER: I want you to look cute and cuddly, Private. Today we're going to blow this dump. BOY: Come here. Come here. Come on, penguin. MARTY THE ZEBRA: Yeah! You don't see that on Animal Planet. Ha-ha. Well, show's over, folks. Thanks for coming. I hope you thought it was fresh. I'll be here all week. In fact, I'll be here for my whole life. Three hundred and sixty-five days a year, including Christmas, Hanukkah, Halloween, Kwanzaa. Please don't forget to never spay or neuter your pets. And tip your cabbie, because he's broke. SKIPPER: You, quadruped. Sprechen sie Englisch? MARTY THE ZEBRA: I sprechen. SKIPPER: What continent is this? 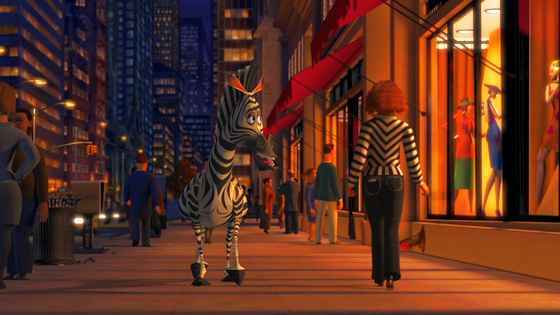 MARTY THE ZEBRA: Manhattan. SKIPPER: Hoover Dam! We're still in New York. Abort. Dive! Dive! Dive. 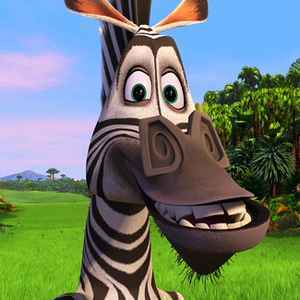 MARTY THE ZEBRA: Hey. You in the tux. Wait a minute. What are you guys doing? PRIVATE: We're digging to Antarctica. MARTY THE ZEBRA: Ant-who-tica? SKIPPER: Can you keep a secret, my monochromatic friend? Do you ever see any penguins running free around New York City? Of course not. We don't belong here. It's just not natural. This is all some kind of whacked-out conspiracy. We're going to the wide-open spaces of Antarctica. To the wild. MARTY THE ZEBRA: The wild? You could actually go there? That sounds great. Hey, hold up. Where is this place? Tell me where it is. SKIPPER: You didn't see anything. Right? MARTY THE ZEBRA: Yes, sir. I'm sorry. No, sir. 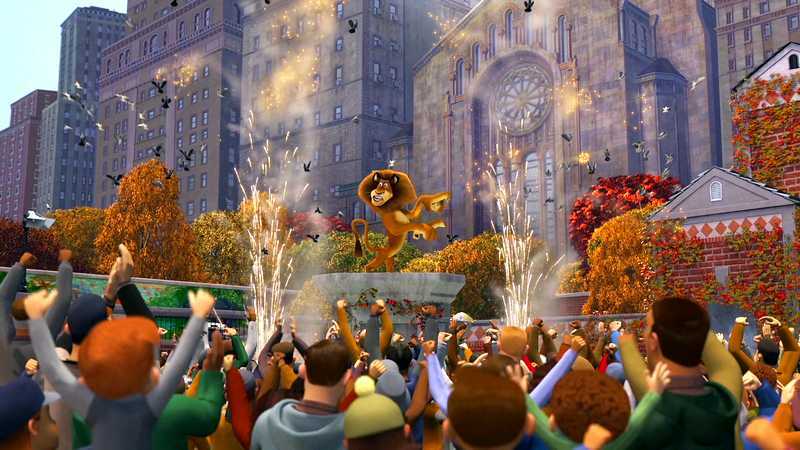 ZOO ANNOUNCER: For his final appearance of the day, the king of New York City. Alex the lion. ALEX THE LION: Roar! Thank you. Thank you very much. You guys are great. You're a great crowd. Give yourselves a hand. Thank you. Thank you. Well. Thank you. Oh, that's too kind. Too kind. MELMAN THE GIRAFFE: Underpants! PEOPLE: Everybody get home safe. Hey! Check out my Web site. ALEX THE LION: Twenty-four hour Alex Cam. Watch me sleep. GLORIA THE HIPPO: This is the life. MELMAN THE GIRAFFE: That's the spot. I'm in heaven. GLORIA THE HIPPO: It's Marty's birthday. ALEX THE LION: Just rip it open. MARTY THE ZEBRA: What is it? GLORIA THE HIPPO: Come on. Open it up. What you got? MARTY THE ZEBRA: A thermometer. Thanks. 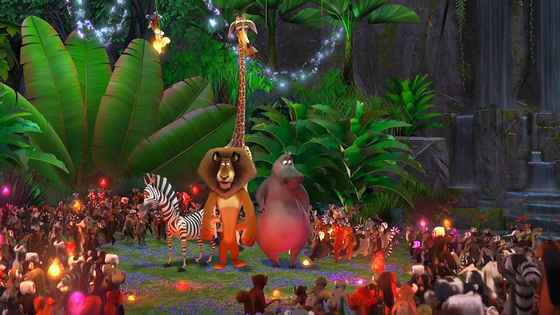 I love it, Melman. I love it. 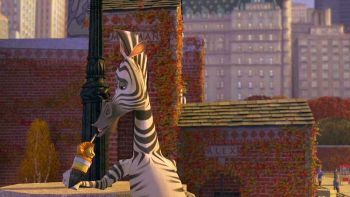 MELMAN THE GIRAFFE: I wanted to give you something personal. That was my first rectal thermometer. MARTY THE ZEBRA: Mother. 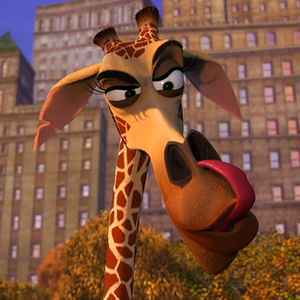 MELMAN THE GIRAFFE: I'll miss that bad boy. 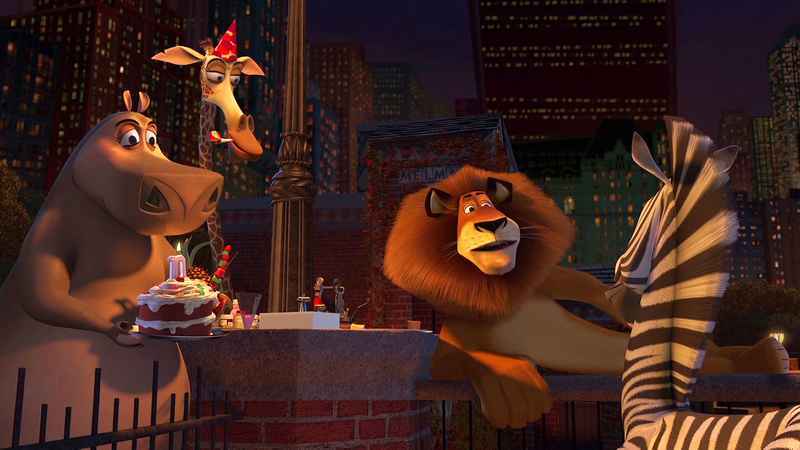 ALEX, MELMAN AND GLORIA: Get the cake. Melman, come on. Happy birthday to you! You live in a zoo. You look like a monkey. And you smell like one too. MASON: I say. MARTY THE ZEBRA: Well, now, you guys are just embarrassing me. And yourselves. ALEX THE LION: What? We worked on that all week. GLORIA THE HIPPO: Let's go. Let's make a wish, babycakes. ALEX THE LION: What'd you wish for? MARTY THE ZEBRA: Nope. Can't tell you that. ALEX THE LION: Come on. Tell. MARTY THE ZEBRA: No siree. I'm telling you, it's bad luck. You want some bad luck, I'll blab it out. But if you want to be safe, I'll keep my mouth shut. GLORIA THE HIPPO: Would you just tell us? What could happen? MARTY THE ZEBRA: Okay. I wished I could go to the wild! ALEX THE LION: The wild? MARTY THE ZEBRA: I told you it was bad luck. ALEX THE LION: The wild? Are you nuts? That is the worst idea I've ever heard. MELMAN THE GIRAFFE: It's unsanitary. MARTY THE ZEBRA: The penguins are going. So why can't I? 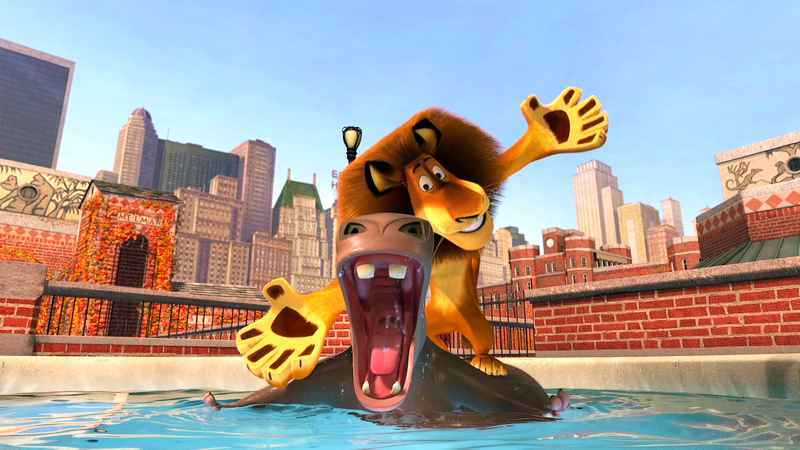 ALEX THE LION: The penguins are psychotic. 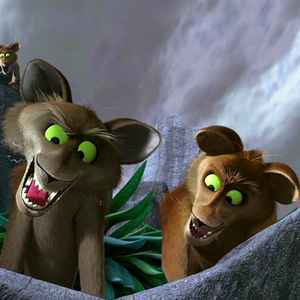 A sequel titled Madagascar: Escape 2 Africa was released on November 7, 2008, and picked up right where the first one left off, with the same voice cast. 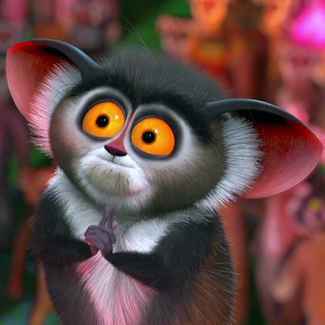 A second sequel, Madagascar 3: Europe's Most Wanted (2012), was released on June 8, 2012. A short film called The Madagascar Penguins in a Christmas Caper was released with the Madagascar DVD, and was theatrically released with Wallace & Gromit: The Curse of the Were-Rabbit in the United States. 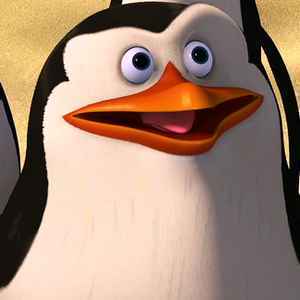 A 2009 spinoff series, The Penguins of Madagascar, premiered in March 2009 on Nickelodeon. It is the first Nicktoon to be produced by both Nickelodeon and DreamWorks. 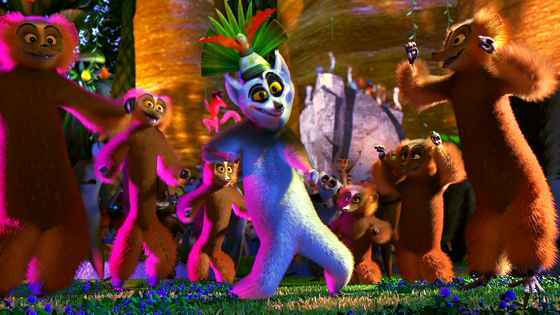 Merry Madagascar, a holiday special featuring characters from the film series, premiered on November 17, 2009 on NBC. Madly Madagascar, a Valentine's Day special featuring characters from the film series, was released on DVD on January 29, 2013. 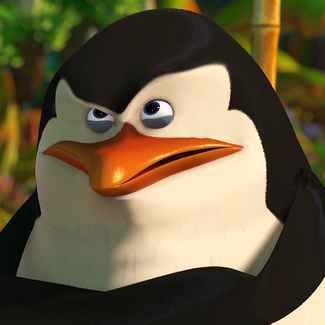 A spin-off film starring the Penguins was released on November 26, 2014 and a third sequel, Madagascar 4, was set for release on May 18, 2018, but it was removed from its schedule due to the studio's restructuring. None of the main character animals (lion, zebra, giraffe or hippo) are actually housed at the Central Park Zoo, but there are penguins. Early on, the plot was based on a group of activists who liberate the animals from their cages. 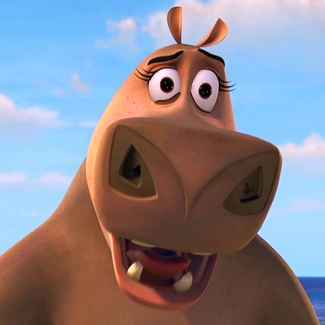 At one point, Madonna, Jennifer Lopez and Gwen Stefani were considered for the voice of Gloria the Hippo before Jada Pinkett Smith signed on. The airplane that the Lemurs hold court in is a Lockheed Electra, the same airplane as Amelia Earhart disappeared in on July 2, 1937. 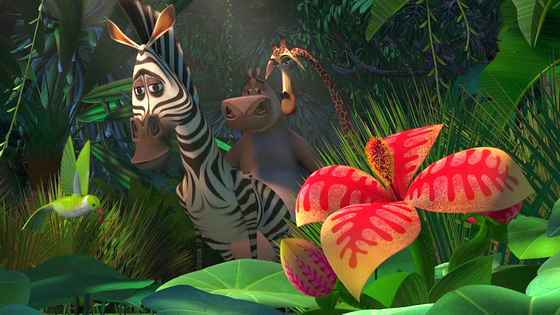 The look of the jungles in Madagascar is based on the paintings of Henri Rousseau. 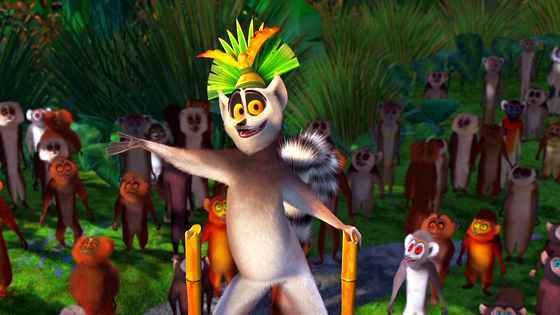 In 2008, the American Film Institute nominated Madagascar for its Top 10 Animation Films list. As of December 2013, the film is the ninth highest-grossing DreamWorks animated feature in the U.S. behind Shrek 2, Shrek the Third, Shrek, Shrek Forever After, How to Train Your Dragon, Madagascar 3: Europe's Most Wanted, Kung Fu Panda, and Monsters vs. Aliens.